To configure snort , we use vim editor . To open snort configuration file , enter the command as shown in the below image . Go to the next image . This is the area where you have to work . Now the line where i use the yellow box and there you will find a line look like this var HOME_NET any . Now replace this any to your own internal ip address . In my case my ip address is 192.168.72.129 ( as shown in terminal also ). If you don't know your own ip address then use the ifconfig command . And at the end save this file by pressing ' Esc key then :wq ' then press enter. Note : To enter text in vim press ' i ' . Now restart snort , by entering the command as shown below. Here is use Backtrack 5r3 as a snort machine ( IDS ) and Kali Linux as a attacker machine . Both are open source linux so easy for you to download . Here i perform the Deepmagic Information Gathering Tool also known as 'Dmitry'. I used this tool to scan for TCP Ports . I look that Kali Linux uses dmitry to performing tcp scan on snort machine ( 192.168.72.129). Here you can see that Snort has caught something . It shows a Tcp port scan is performed by the 192.168.72.128 ip address. Its a very useful information. Here i used nmap to perform " OS DETECTION SCAN ". 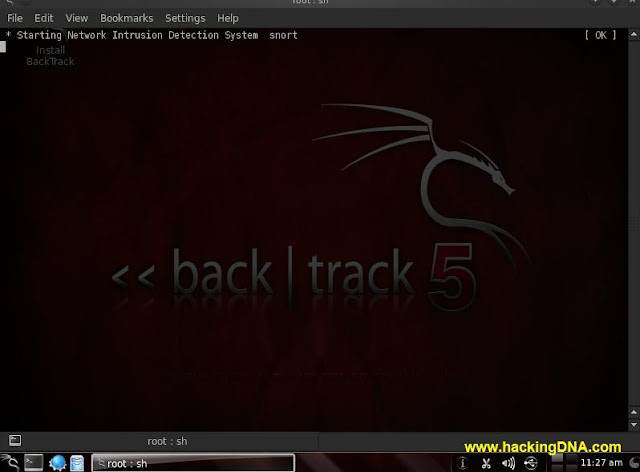 See the below image of performing OS Detection scan on kali linux . Now the best thing , you can see the behaviour of the scan that is performed by nmap . See the red boxes that i have put , it shows so many things. 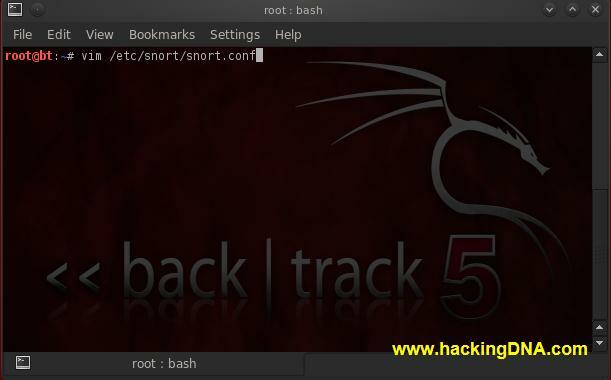 So this is how you can use snort on backtrack 5. Good in aspect of security . You can use it to understand the behaviour of the attack . There are lots of things you can do , use your ninja skills and sharp your security . Thats it . Thank you for reading . thank dude ..can you please give a post for how to prevent wireshark from capturing packets..